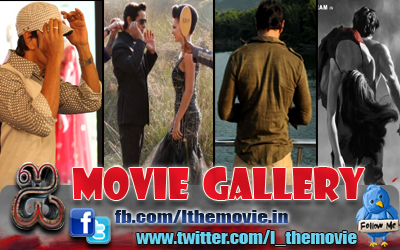 Home » Latest Buzz » Doctorate for Chiyaan Vikram! 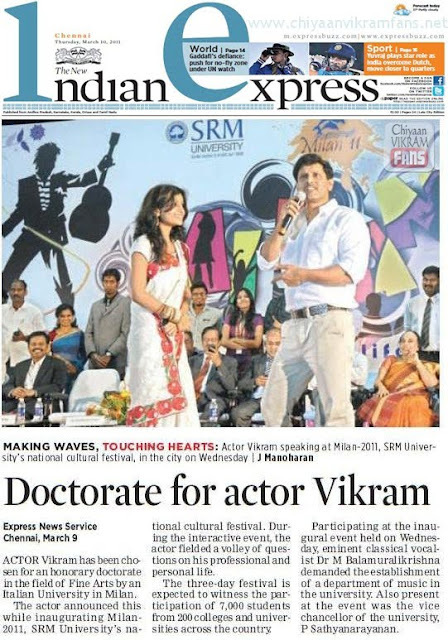 ACTOR Vikram has been chossen for an honorary doctorate in the field of Fine Arts by an Italian University in Milan. The actor announced this while inaugurating Milan f 2011, SRM University's national cultural festival. During the interactive event, the actor fielded a volley of questions on his professional and personal life. The three-day festival is expected to witness the participation of 7,000 students from 200 colleges and universities across the country. Participating at the inaugural event held on Wednesday, eminent classical vocalist Dr M Balamuralikrishna demanded the establishment of a department of music in the university. Also present at the event was the vice chancellor of the university, P Sathyanarayanan.